I pack my lunch every day when I go to work. Why? Mostly because it's far too expensive to eat out every day, but also because I want to eat healthy and fresh food that has a small environmental footprint. Just looking at all of the disposable plastic packaging that comes with takeaway food is enough to make me lose my appetite. Packing your own lunch can seem like a chore, and can take some getting used to when you're surrounded by colleagues who eat take-away every day of the week! The best way to combat this is to get into a pattern of preparing your lunch the night before, or getting up early enough to leave yourself enough time to prepare something substantial. I am a big fan of carrot sticks with hummus, or apple slices with a cheeky honey/peanut butter combo, but stick that all in a plastic container and you'll end up with a sticky, leaky mess. The best solution I've come across is turning an old jar (I use nice, big jam jars) into a portable snack container: put the dip at the bottom and then the sticks of fruit or veg on top so that they're pre-dipped and ready to go. The benefit of a jar is that it seals tightly and will prevent your hummus from turning your workbag into a garlic-scented disaster zone. 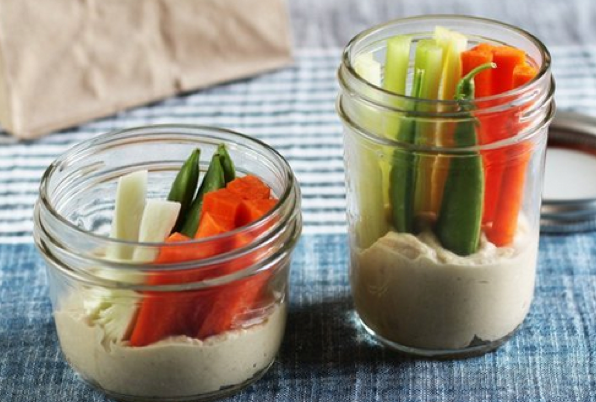 Nut butters and hummus are also high protein, which will help beat that afternoon slump at your desk, and keep you energised until the end of your day! This is by far the best use for your office microwave (or made ahead at home and eaten cool later). In your handy jam jar or other sealed container, pour ½ cup of rolled oats and 1/3 cup of milk (almond is delicious) or water. Microwave this for 1 minute on a medium-high setting, and see how the oats magically turn soft and fluffy, like a thick porridge. This is the base for a delicious hot snack, which can be customised to make it sweet or savoury. 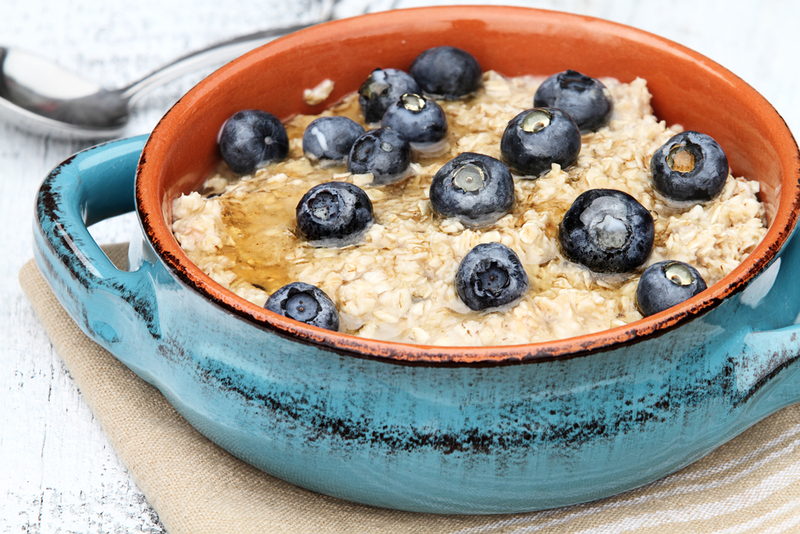 Savoury idea: Use water to make oats. Add a dash of olive oil, salt and rosemary for a simple accompaniment to a salad. I cook rice for dinner a few times a week, and I tend to make a bit more than I need. Rather than chucking this out, I turn my rice into gorgeous fried rice, or add it to a salad for added texture. To make fried rice: You can make this in a single saucepan or frying pan, and you can use whatever vegetables you have lying around. I like to stir-fry half an onion in a little oil, then add a tomato, some pak choy, shallots, carrot and then the rice. Stir through a little soya sauce, chilli, white vinegar and lime juice for some extra flavour, then eat hot and delicious. Rice salad idea: Toss leftover rice with finely chopped vegetables (carrot, red cabbage etc.) and slivered almonds. Eat with sweet chilli sauce. Want more inspiration? Check out this Persian Rice Salad. 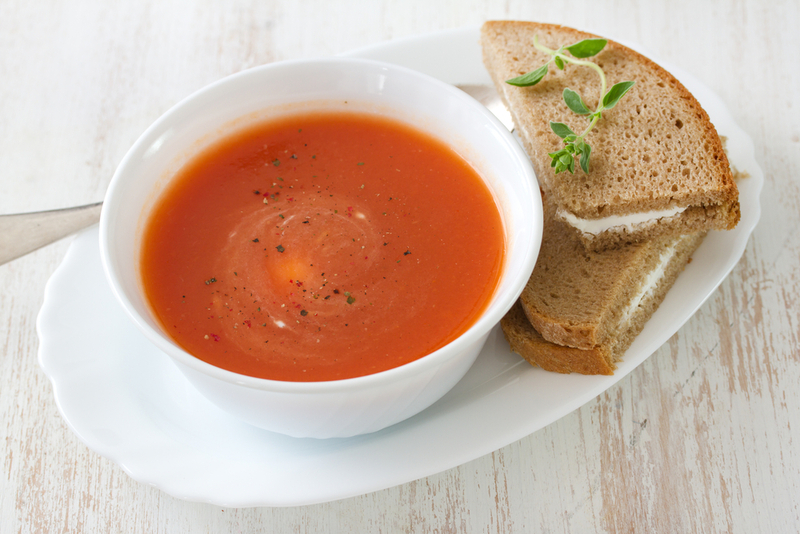 If you love something warm in the middle of the day to keep you energised, but don't want to be tempted by fast food, then consider making a big batch of Anything Soup. In this recipe, I use pumpkin as the base, but you could just as easily use sweet potato or tomato. Make a big batch and then freeze/refrigerate individual serve in reusable containers. This makes packing lunch so easy, because all you have to do is grab some soup and a few slices of bread (or a bread roll) and you've got a hearty and hearty meal! Sometimes when I'm at my desk, I'll feel the need to eat something even though I'm not particularly hungry. This might be because I'm stressed, and is sometimes because my body is low on energy. This is why I always have a jar ready with some healthy, crunchy snack items. Some ideas for your snack jar could be carrot sticks, apple slices, almonds and other nuts, sunflower seeds, roasted chickpeas with a little salt, or homemade pita chips. As a rule, keep "moist" things like veggies and fruit in a different container to dry things such as crackers and nuts. This is so your crunchy things don't become soggy. 7. Don't forget something to drink! If you like juice, infused water, Milo or flavoured almond mylk, consider bringing your own supply to work to make getting through the day a bit easier. I'm a tea addict, so I usually go through 7 or 8 cups in a workday (more if I have looming deadlines), so I love bringing my own tea blend and infuser so that I can have something a bit more exciting than just standard tea bags. 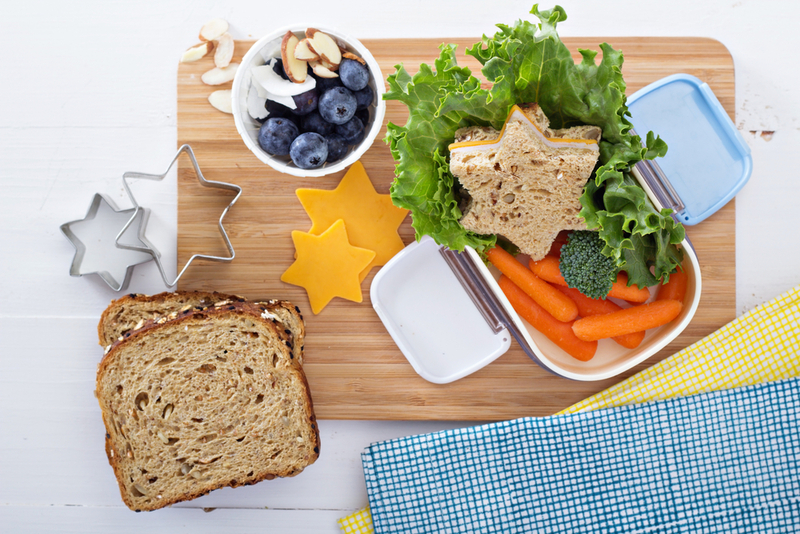 What's your favourite packed lunch idea? Let us know in the comments below!